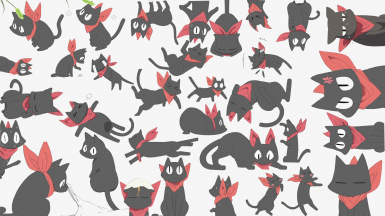 The cat from the Anime Nichijou... and for the people that don't watch the anime, a black cat with a red scarf. Don't need to say much about this one, i always liked the anime and specialy the Sakamoto character, so i wanted one and here it is. Sharing it because, maybe, someone would like one too. No copyright infringement intended. All rights and lefts belong to their respective owners.